These intention candles were inspired by the idea that when we take a moment to light a candle, we can take a moment to reflect, celebrate, let go....whatever it is your heart may need in the moment. There are six different candles, each posing a question (What is calling you? What can you let go? What can you invite in? What are you celebrating?) to reflect on upon lighting - likely one of my favorite products ever. Since their arrival, I have a personal practice of lighting one a day. The vanilla scent plus the moment of reflection has been a great way to begin and end my busy days. Bonus info: Each candle arrives inside an artful box, ready to gift! Also, once candle burns down, you can reuse the artful glass cup for another candle, or a pencil holder or maybe even as a planter - options are endless. Come find the candle that will meet you exactly where you are in your life! 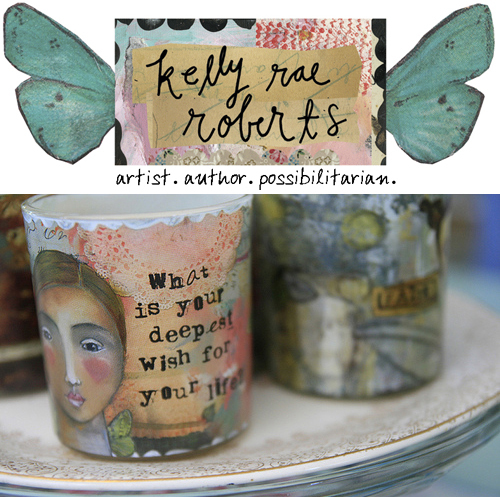 Kelly Rae Roberts: Website, Blog, facebook, twitter. 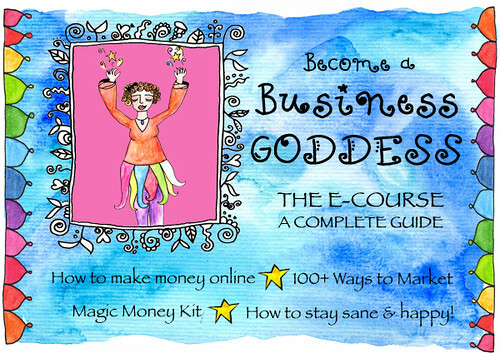 The Become a Business Goddess e-course! Have you always wanted to know how to start a thriving business made out of your deepest passions? 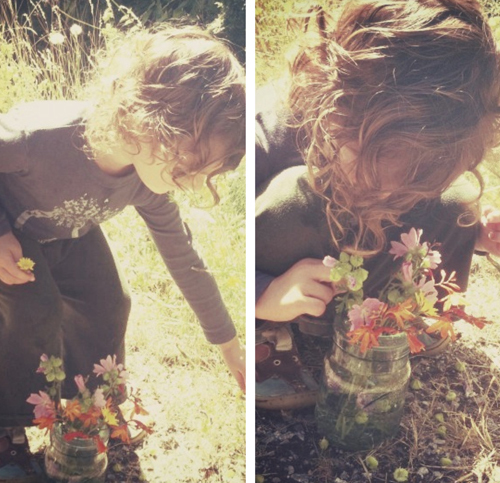 Or are you already doing it & need deep, sage advice on how to grow it super quickly? This e-course is the perfect business soulmate to have by your side. Five weeks of learning how to make money online, 100+ ways to market like a goddess, how to use the Magic Money Making Kit & wisdom from business goddesses who've already done it. And it comes highly recommended! "What I love about The Business Goddess course is that it’s fun, lush and soups-to-nuts on what you need to have a love-filled, fit-you and successful business. Highly recommended!" Best selling author of "The Women's Comfort Book"
Are you a dreamer who is seeking a safe space to play, get messy and learn aboutart? Do you dream of finding a community of your own, full of support fromother people who also long to find their wings? Born outof the dreams of Mati Rose, Stefanie Renee, and Tiffany Moore, Teahouse Studio IS that safespace you've been seeking. With our lineup of classes, you'll find something toawaken you to your true creative spirit. InstantMagic: Polaroids with Hula and Photo Meditations with Susannah. 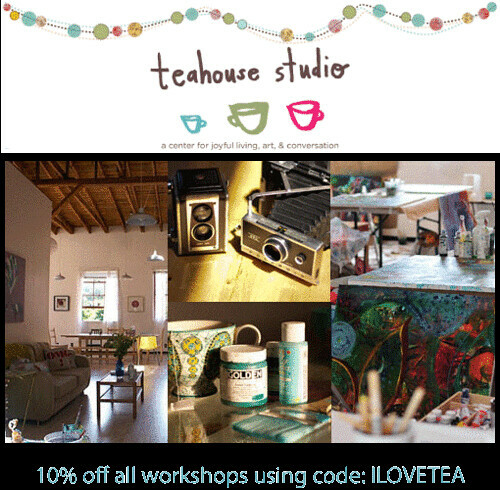 Workshopsat Teahouse offer more that just a class: they are your chance to truly connectwith a teacher in an intimate setting. They represent safety: to be who youtruly want to be, to believe that it's possible to live that life you've beendreaming up for yourself, and to find your authenticvoice. Grab a warm cup of tea and join photographer, writer, and soulful mama Denise Andrade for cozy conversation, lush photographs, gentle community, and other delicious tidbits of her new life in the Pacific Northwest over at her blog Boho Girl!